Once again, we are shamelessly asking for your vote. Northwest Indiana Business Magazine recognizes the Best of Business every year and we’d like to be included. Look for our categories on page 3: “Best ad agency/marketing firm,” “Best graphic/web design firm,” and on a few pages further, feel free to add us to the “Best woman-owned business” as well! Do it now as voting ends by Friday, January 18, 2019. 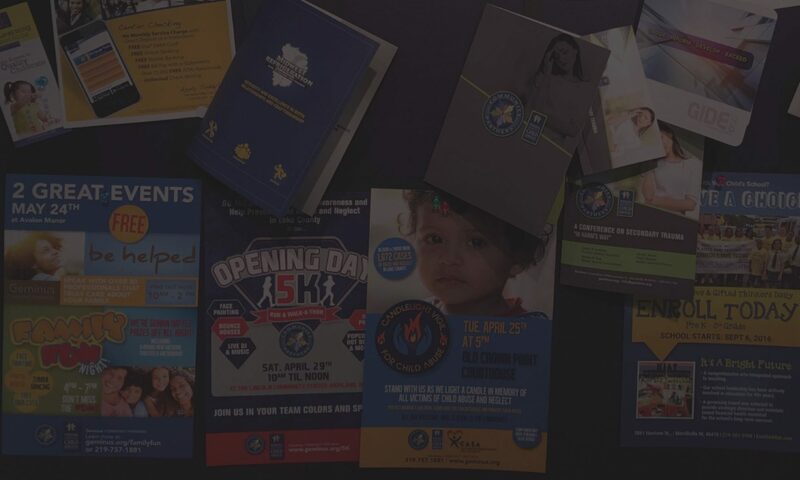 This year’s results will be published in the April-May 2019 issue of Northwest Indiana Business Magazine and online at NWIndianaBusiness.com on April 1, 2019. Have you seen some reCAPTCHA widgets displaying “ERROR: Invalid site key.” Why? Because on March 31, 2018, Google shut down reCAPTCHA v1 API. This broke reCAPTCHA on all websites globally. reCAPTCHA v2 will be familiar to most and will require users to check a box or click on one or more of a selection of images to prove they aren’t bots. reCAPTCHA v2 also has an ‘invisible’ mode that will only require someone to perform this task if Google finds their behavior suspicious. Web page loading speeds not only greatly affect how long users remain engaged with your site but also have a direct impact on your Google search rankings. Recently Google updated their search algorithm to add mobile page speed as an important search ranking factor as well. Maps is one of the most popular and important services Google offers. It is also a crucial local SEO tool through Google My Business. Following is a short list of a few promised updates that will help improve user-friendliness and introduce new features that make it more intuitive and user-focused. Google Assistant. This has already happened! Siri and Alexa have been enabled within Google Maps on both Android and iOS. You can ask it for directions home, or to nearby restaurants, or saved locations. You can also ask it to search for places along your route (like gas stations) or add a stop — all things that used to require some button pushing. New “Explore” Tab. Newly redesigned, Explore will allow users to browse new and nearby locations. The update will help streamline and present more top options with reviews being taken into account more. New “For You” Tab. This new section will act like a newsfeed, similar to a social media site, and present the user with recommended places to go and the ability to “follow” certain locations. Google Maps will also look into various local news articles about places you might want to go, which helps give results tailored for your preferences. Google Lens Integration and Street View. With Google Lens, users will receive directions and shown various street views with signs and landmarks, which are linked to Maps and Street View. The AI technology is used to interact and guide the user to their destination and provide the best routes. If you have questions about mobile optimization or SEO in general, let’s talk. 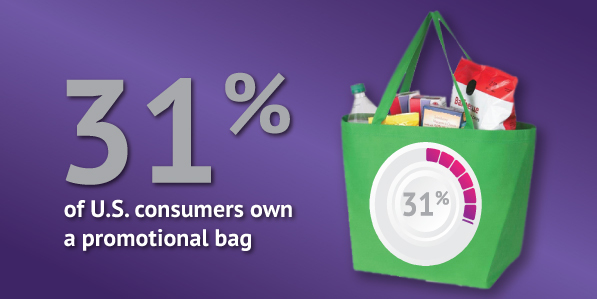 Give Your Brand a Voice: Promotional Products Work! Promotional products are useful, palpable items that are imprinted with your company’s logo or message that are designed to increase brand awareness. A powerful marketing tool, promotional products allow your brand to connect with consumers by engaging their five senses. As one of the only forms of advertising that allows consumers to interact with a brand on a physical level, promotional products create a more memorable brand experience. The first known promotional products were commemorative buttons, and they trace back to 1789 when George Washington was elected president. Logoed mugs in particular are a more effective advertising than radio and television spots; 57 percent of people were able to recall the advertiser on a mug, versus 32 percent of radio and 28 percent of T.V. Promo items are extremely mobile, which means they can reach audiences to which you’ve never marketed. To increase your business exposure, your main focus should be finding the right promotional products for the right audience. Be memorable and stay connected by creating a brand experience that lasts. Today’s consumers expect brands to reach them on a personal level. By handing out a promotional product, you’re helping them remember your company and driving customer loyalty. Just like business cards (except with greater results! ), promotional products are a powerful way to attract attention to your brand. When distributing your promotional items, you are breaking the ice with potential customers and engaging them in conversation. Not sure where to start? Let VIA do the work for you! Contact Julie at VIA Marketing to get started. Facebook recently announced changes in the way they will send you updates. They want you to see more posts from your friends, family, groups, and other people you have meaningful conversations with. Content that is shared and inspires conversation will grow. Comments will be more valuable than likes. You will also see less Facebook video. Facebook is going to push out less from publishers, businesses and the celebrities you follow. It’s a ranking change, according to Adam Mosseri, Facebook’s vice-president in charge of newsfeed. The newsfeed was founded to connect people and they want to do better. This latest move will also de-emphasize organic videos and many think will subsequently reduce the time people spend on Facebook. Our passive interaction with videos is the root cause for de-emphasizing videos, but it doesn’t change the fact that people love to watch videos. According to Mosseri, the newsfeed shift will not apply to advertisers because that is a separate system. Video ads then, designed to build your brand and create new demand for your products and services, will be especially appealing because people like to watch them, and the audience targeting and per view pricing are really attractive. If you want to build name recognition, traffic, leads, sales, and a customer following for your business, you’d still be foolish not to try Facebook. Here are three of the best reasons Facebook paid video ads will help make your business super successful in 2018. One of the best aspects of Facebook ads is the custom audience feature. We select specific groups and custom design ads that speak just to these select people. Sadly, even when we target specific demographics or interests, not everyone is going to pay full attention to your ad. Sure, they’re scrolling through their newsfeed and maybe see the first couple seconds as it autoplays on their phone or computer. Some people however, will actually watch the whole thing—and even click your call-to-action. They may be so hooked by your message that they even went to your website. These are warm leads.Custom audience segments have a retargeting feature. That means you can send a paid ad to people who have responded to your call-to-action. You’ll get more bang for your buck advertising to these warm leads than from people who just breezed past your ad.What’s more, reports about video views are now dynamically updated every day. You can easily tell who’s responding to your ad—in real time. Under the new algorithm, Facebook is reducing the visibility of posts from businesses. It will be better to pay to push your content, and it will ensure an even broader viewership.Very few marketers hope to create a Facebook video ad that performs really well on the first try. In fact, they like to test different ad strategies to find the ones that will work best for you.One of the most telling statistics about the success of Facebook video, is that 44 percent of ​small and medium-sized businesses​ plan to pay for Facebook videos in 2018. If your brand isn’t invested in video on Facebook, there’s a good chance your competitors are, which will put you at a significant disadvantage. 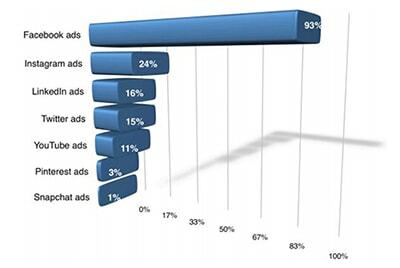 Facebook is by far the most popular social media advertising channel. According to Social Media Examiner’s 2017 Social Media Industry Report, 93 percent of social media advertisers use Facebook ads. The next network that’s even close is Instagram with 24 percent. This is just more proof of how popular and in-demand Facebook ads are for B2B and B2C brands. If you would like to add Facebook Video to your marketing strategy, but don’t know where to begin, then let VIA fast forward you in the right direction. Contact Julie at VIA Marketing to get started.